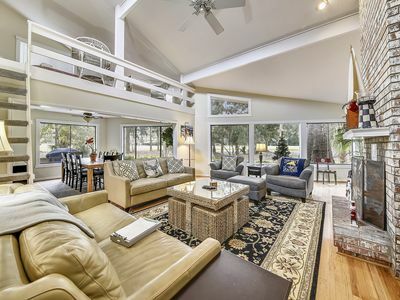 This spacious two story end unit villa has a spectacular location. 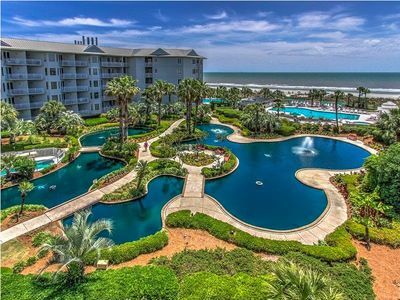 It's walking distance to the beaches of the Atlantic Ocean, as well as by the Van der Meer Tennis University, the Players Club Fitness Center, and the shops and restaurants of Coligny Plaza. 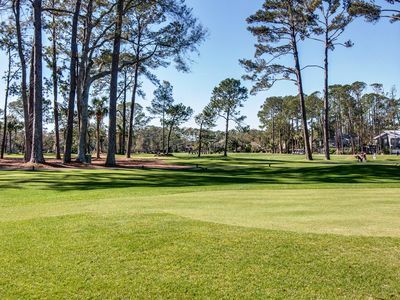 Whether you're looking for a place close to the beach, one of the best golf destinations in the USA, a peaceful setting to relax in, or a high energy/high activity vacation, our villa offers it all. 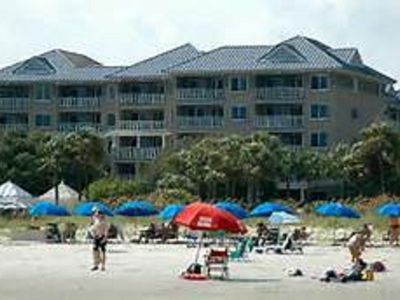 Once you arrive, you can park your car and enjoy the 12 miles of hard sand -- which is perfect for bicycling or walking. There are also miles of biking and jogging trails. Our Villa has been tastefully decorated and has all brand new furniture in the living room, bedrooms and kitchen. The kitchen is fully equipped with all modern appliances, new dishes, cookware and silverware. The villa has dark, rich hardwood floors throughout the first and second floors with the exception of the living room and staircase (where there's carpeting) that adds a unique warmth and charm to the whole place. 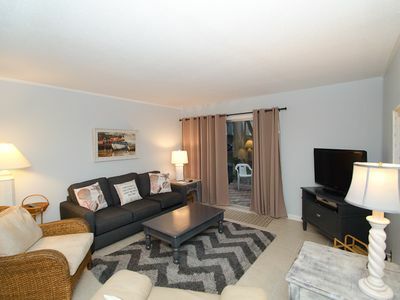 This luxuriously furnished, two bedroom/two and a half bath, two story private residence is tastefully decorated. 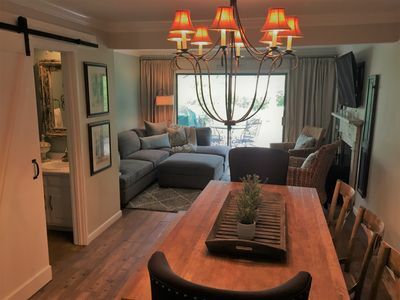 On the first floor there is a living area with a TV entertainment center which looks out to a large sliding glass door and the private deck, a half bath, a kitchen with plenty of counter space and cabinets, and a bar-height kitchen counter top. 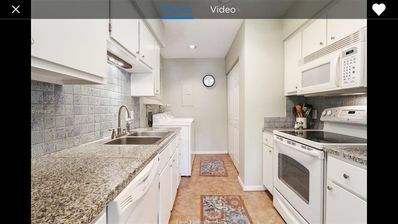 There's also a separate eat-in kitchen and pantry. 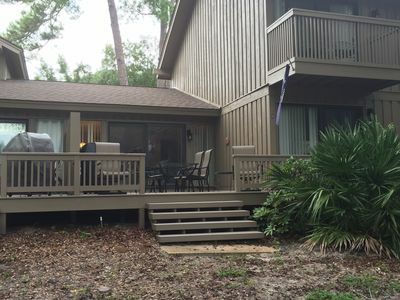 Outside, in the middle of a quite and serene setting, our end unit offers a private deck with chairs and a table you can relax in at the end of a long and enjoyable day. 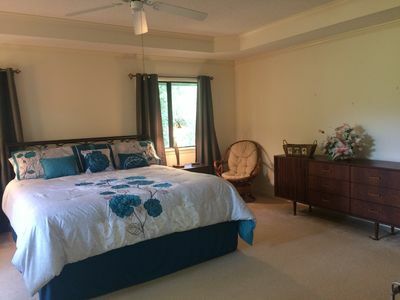 Both bedrooms are located on the second floor and have their own private full bathrooms. In the Master Bedroom the queen-sized bed has a Sealy Posturepedic 'Pillowtop' mattress to insure a good nights sleep. A cable TV is included in the master bedroom. The second bedroom has twin beds and 'pillow-soft' mattresses. The second floor also has a smaller separate room where the upright washer and dryer and linen closet are located. There are upscale linens and towels available for the bedrooms and bathrooms. 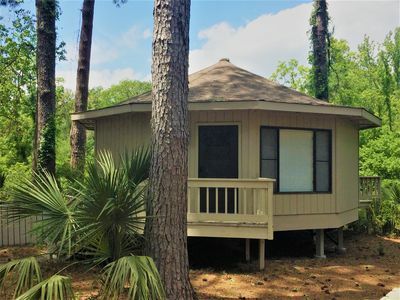 The two-story villa design ensures that there is no one sleeping above or below you and because it's an end unit will guarantee a quiet night's sleep. As dog and cat owners ourselves we appreciate the fact that we can bring our pets to the villa. We assume that your pet is up-to-date on all shots and pills, and is well-trained. Special rules apply so please contact for details! A separate $200 security deposit is required and assuming no major damage will be refunded after the stay. 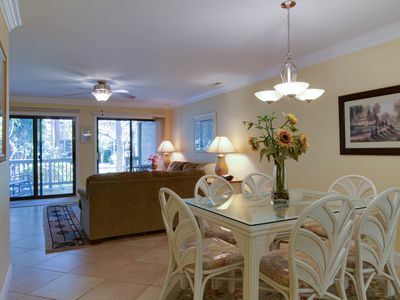 There is however a $95 cleaning fee and a $95 pet fee per stay. 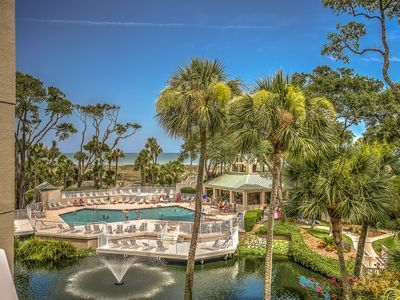 There are over 250 restaurants on Hilton Head ranging from casual to formal dining - all of which are conveniently located and within a short drive from the villa. The cuisine ranges from Pit-cooked barbecue, Down-home Southern fare, All American menus and Ethnic delights from Italy, Greece, China, Thailand, Germany, Japan, France, Mexico, the Caribbean. Upon your stay we would be glad to recommend our favorites. 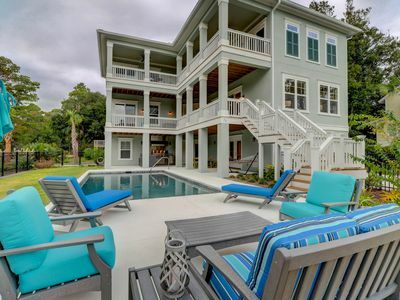 *Forest Beach/Luxury 4BR Coligny Villa*: Walk to beach+private pool+3 TVs! 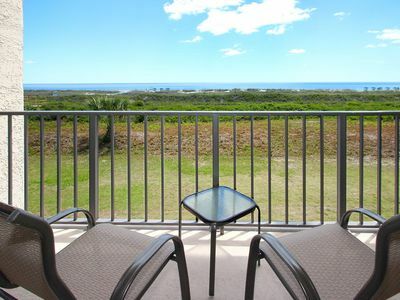 Across the street from the beach, pool, dog friendly, great rates! 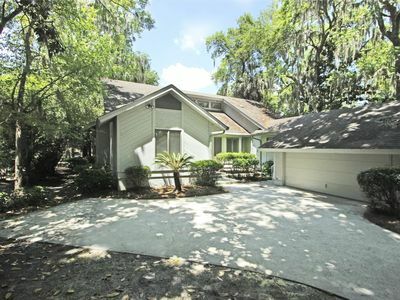 Fern Court 7: beautiful 3 bedrooms and 3 baths home and offering golf views! 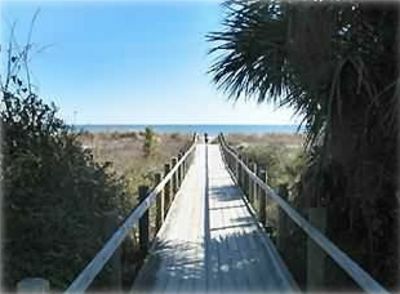 5 bedroom 5 bath, third row Palmetto Dunes home with Private pool, on the beach path! 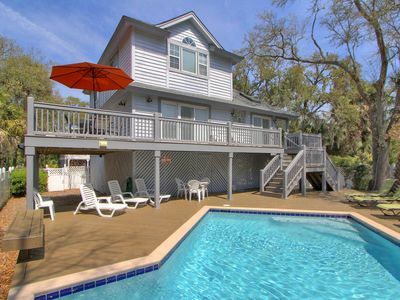 Spacious multi-level house with private pool - second row from the beach! 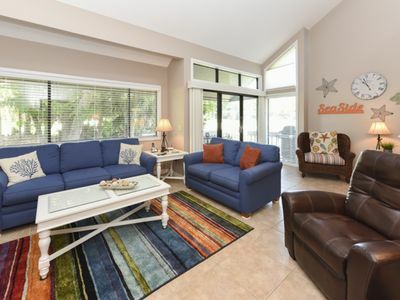 Beautifully remodeled villa w/ porch, balconies & shared pool! 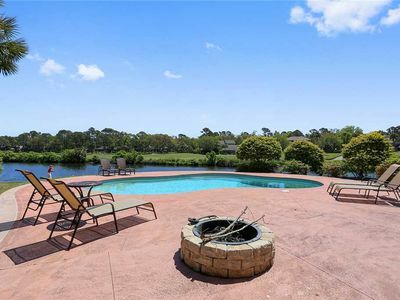 Oceanfront villa w/ ocean views, shared pool/hot tub & nearby beach access!